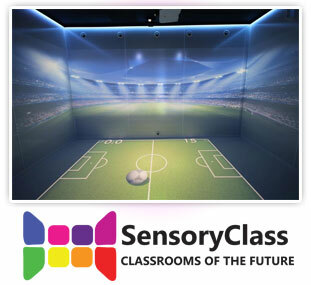 Osborne Technologies launched SensoryPod, an advanced self-contained multi-sensory room at the BETT show in 2011. Designed to be an indoor or outdoor room for special needs care providers looking for a Snoezelen style facility and ideal where space is at a premium. Since then, we have established our position as a market leader in developing and delivering multisensory environments introducing a range a products including SensoryPod, SensoryClass and SensoryMobile - some of the most technologically advanced immersive environments available today and with a focus on ease of use and simplicity. SensoryPod now provides easily accessible support for schools, SEN and challenging behaviour, disability access in public places and leisure parks, dementia support and care. Multi-sensory rooms for SEN (incorporating SensoryPod). 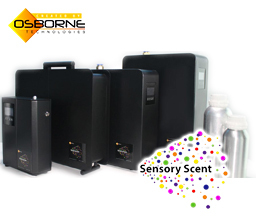 Self-contained multi-sensory environments for indoor or outdoor locations. Accessible to all, our sensory spaces are tailored to incorporate all of the sensory elements that may be required for people with special needs or more complex conditions. Turn your lessons into highly engaging learning activities in minutes with the 3 times AV award winning Classroom of the future. Designed and developed by taking valuable sensory expertise and teaming it with the very latest in cutting edge technology. All-in-one sensory & immersive solution in a self-contained, mobile format. 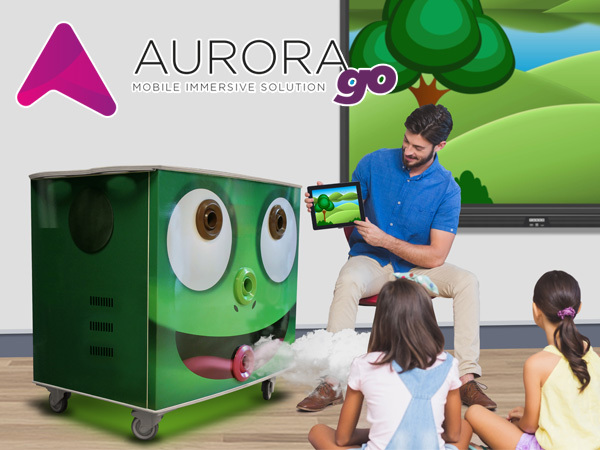 Aurora Go brings elements of our fully featured sensory and immersive spaces, such as dynamic ambient light, sounds, wind, haze and scent, into your classroom. Use standalone or connect to your existing presentation screens or projectors adding sensory and immersive dimensions and enhancing your lessons. Our sensory projects have won the prestigious 'education project of the year' award at the AV Awards in 2012, 2013 and 2015. We were also finalists at the same awards in 2013 and also a BETT award finalist in 2014. Every sensory environment we create is a unique and individual project. Our sensory specialists will meet with you to discuss what you're looking to achieve and establish your requirements. They will also provide advice where needed on the best technologies to achieve the desired effects and draught an estimate for budgetary purposes. Whilst there are similarities between our projects - no two are ever the same. If you're at a stage where you'd like to move forward, our designers will then create some 3d illustrations of how your immersive space could look when finished. Affordable scent delivery systems with over 400 reformulated fragrances to choose from. 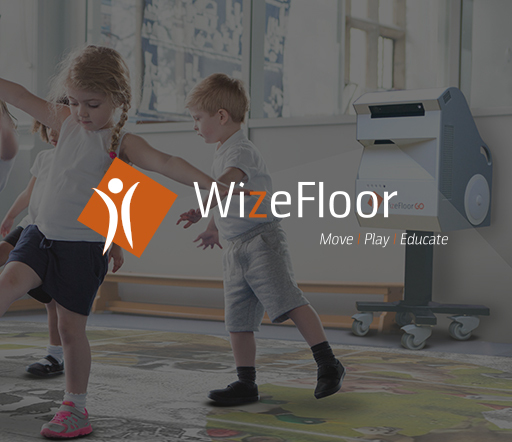 Award winning interactive floor solution. Learning through play and physical movement. 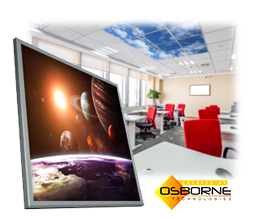 Turn ordinary ceilings into scenic light windows with our practical illuminated panels. 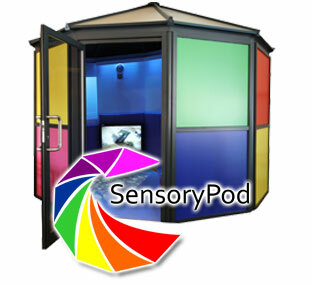 "The SensoryPod was purchased as a modern alternative to a Sensory Room. A stand alone building, individually tailored to create a bespoke, self contained Multisensory environment in one single package. It offers value for money as it is a room within a room; this is a very practical and cost effective solution to space constraints. This makes it an attractive option for many other public, business and leisure providers looking to become more inclusive with their provision. The Aiming High Business Unit cannot suggest any improvements to the company and have enjoyed working with them." "At Sanctuary Supported Living's Sidegate Lane Nursing Home we look after 24 residential patients who have a range of different mental health and support needs but in particular we work to support advanced dementia care. This often manifests itself in aggressive physical outbursts that can be challenging to deal with for the individual and staff. We wanted a sensory room that would work as an anger management space to help control a situation but also an activity room that would distract or engage the individual before they reached crisis point. Osbornes came in and transformed an old activities storage room into a facility that can capture the attention and imagination of residents with severe dementia who need stimulating or calming. This is an excellent way to provide a tranquil, calming environment for them."